Is your life crazy busy? Are you always on the run? No time for your YOU Time? 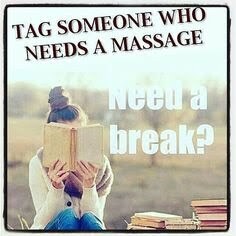 Why not get a Massage? You say you have no time to go get one? How about getting a "Mobile Massage " delivered to your doorstep? It's convenient and you don't have to drive nowhere. We drive and bring the table to you! How much easier could this get? We all procrastinate about doing something for ourselves or others. Why is that??? Excuses ! Excuses! Excuses! Wouldn't it be nice to get a good massage right now ? Or soon? ‍♀️‍♂️ Do you remember the last time you even had a massage?